When temperatures rise, you rely on your air conditioner to keep you comfortable. Should it break down in the summer season, you can be certain that you will experience humid, sticky and hot conditions until you have it repaired. There are numerous reasons that can cause your air conditioner to malfunction: it could be that your sensor or thermostat is not working correctly. A dirty evaporator or filter could also cause problems. It is crucial to have a proficient technician to examine your system. 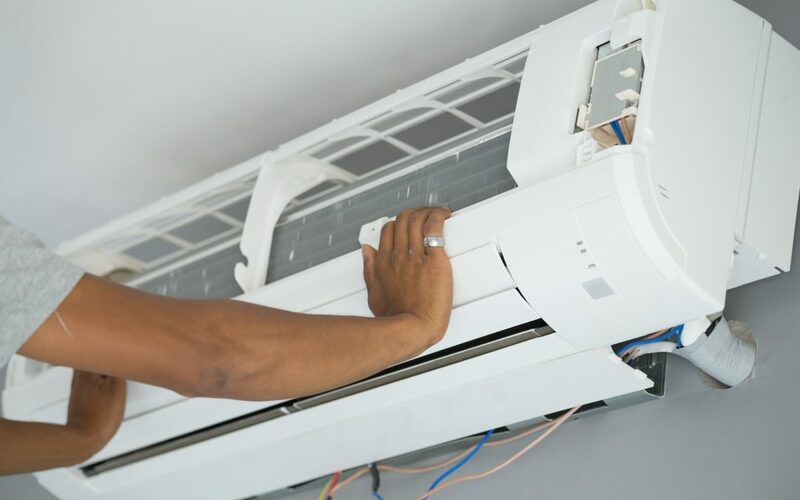 While you may require professional AC repair services for a malfunctioning air conditioner, sometimes you can fix simple problems with a little troubleshooting. The following troubleshooting guide will help you address some of the most common problems you can fix on your own. The first thing to do if your air conditioner isn’t turning on is to check your unit from outside to see if the condenser is running. Ensure that your thermostat is set correctly and that the unit is plugged in. Lower your thermostat and set it to cool to see if that fixes the problem. After that, check to confirm if a tripped circuit breaker or blown fuse is the cause of the problem with your air conditioner. If your air conditioner still doesn’t turn on, you may have a problem with your compressor or motor and will require the services of a professional for your AC repair. If your thermostat is fixed correctly and your air conditioner turns on but your system is not cooling, the problem might be a blocked or dirty air condenser. The first step is to check the outside unit and clean around to remove any debris that are blocking air circulation. Next, check your filter and make sure it is clean. Many at times, HVAC service providers find that the filters of most client’s air conditioners are dirty which means they restrict the air to the evaporator coil and when this happens, the coil is bound to freeze. If you run your air conditioner often or keep pets, you may need to change your filter more frequently. A recommended test is to pull out your filter to check if you can see through it. If your air conditioner still does not cool air, there may be a problem with your refrigerant or compressor and as such, you will require AC repair services. If your air conditioner is set properly and turned on but still not cooling your home to your desired standards, your HVAC unit may not be the suitable size for your home. Your system should be appropriately sized to keep your home cool on an average summer day. If it is a typical summer day and your air conditioner still cannot keep up, the problem might be a frozen evaporator coil or an issue with the charge. As such, you require a cooling fix. Should you notice an icing on your outdoor unit, however, ensure that you shut it off and seek professional AC repair services.